2. What hooked you to AKB48? 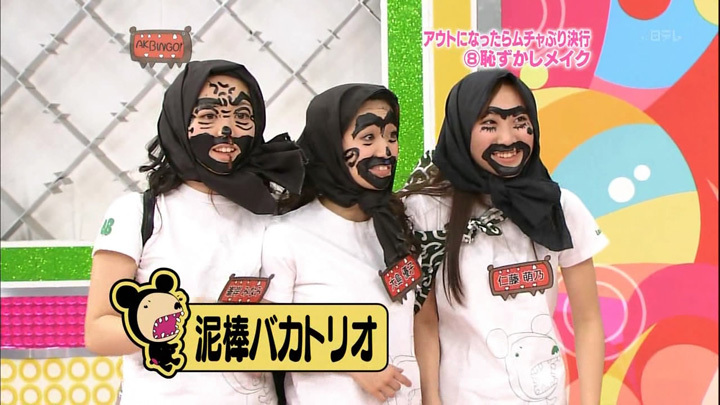 One day I saw some GIFs that show Mariko trolling Yuko. I searched the source and found more GIFs from "AKBingo!" then I searched the show and try to watch it…and it turned to be a big fun. Through "AKBingo!" I knew about Yuko and her great talent, Mariko and her awesome trolling, Takamina's failed character, Nyannyan's airhead, Sayaka's manliness, etc etc. 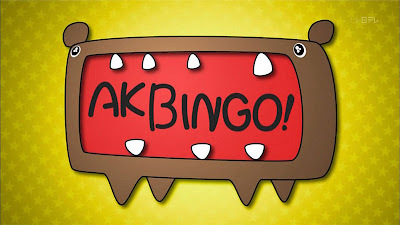 Yes, I have to admit that I knew most of AKB member through "AKBingo!". People said that they are cutesy cute but they don't bother to get their faces covered in flour, wearing burglar makeup, or embarrassed themself by yelling "UFO!" in a restaurant. 2. Beginner, RIVER, Kaze Wa Fuiteiru. AKA the not-typical idol-songs. The songs are great, the lyrics are awesome, The PVs are cool.